In the last few days, following president Koroma’s marking of his first year in his second term in office, attempts have been made to assess his performance record. These analyses are based on the government’s delivery of the ‘Agenda for Change’ and now the ‘Agenda for Prosperity’, both of which are the Government’s blueprint for national development. Given what has been achieved so far and expected to be delivered in the next forty eight months by this government, it is acceptable to say that we have come a long way in meeting our development needs and aspirations as a country. Analyses of the government’s performance are varied; some with political spinning, with specific reference to the assessment made by the main opposition SLPP party. I did listen to the party’s spokesperson – Musa Tamba Sam on Star Radio. He fell short of being honest to accept that goals have been scored by the country collectively, though with challenges. 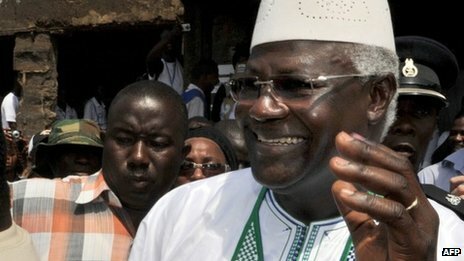 To suggest that he is still grappling with the Kailahun election defeat over a year ago would be an understatement. Kailahun is still faced with challenges in terms of road infrastructure, more so, given its potential in agricultural productivity. Greater attention has been given to that part of the country by a government whose leader was once chased out of that very district by thugs of the opposition. This tells us a lot about the type of President we have today. But again, some of the analyses have not taken into account global economic factors, when discussing our national development progress. Yes we expect tangible development from elected representatives, but if one is elected for 60 months, how unreasonable it is to expect all the result within 12 months? Let us come to terms with past realities. When President Koroma took over the reign of governance some six years ago, he met a county with a plethora of challenges in all sectors. From agriculture to infrastructure, youth unemployment, tackling corruption and rebranding the image of the country at the international level, there were a lot of challenges. Take agriculture, by 2007, the sector was in a state that required immediate attention from Government. There was a budget allocation of 1.6%. The fisheries sector was also poorly managed. Prior to 2007, the sector was as chaotic as the running of government appeared at the time, with no central command, except for the dictatorial tendencies of the vice President. The fisheries outstations were dysfunctional, and revenue collection was neither effective, nor properly coordinated. Tackling corrupting was done from a theoretical perspective than a practical approach. Granted the government inherited an Anti-Corruption Commission charged with the task of fighting corruption, but with little powers to do so. Corruption had pervaded our society so much that, you were looked down upon if you had the opportunity to be corrupt and choose not to do so. The Anti-Corruption Commission was completely lacking in political will. Revenue generating institutions like the National Revenue Authority were more or less instruments, used by a selected few to enrich themselves at the expense of the citizens. But we saw a change in a range of issues when this government was elected in 2007. In the fisheries sector for instance, we are today talking about improved governance of the fisheries resource, with well strengthened management architecture; practical measures put in place to combat illegal, unreported and unregulated fishing, coupled with effective co-management, marine conservation and territorial user-rights structures. 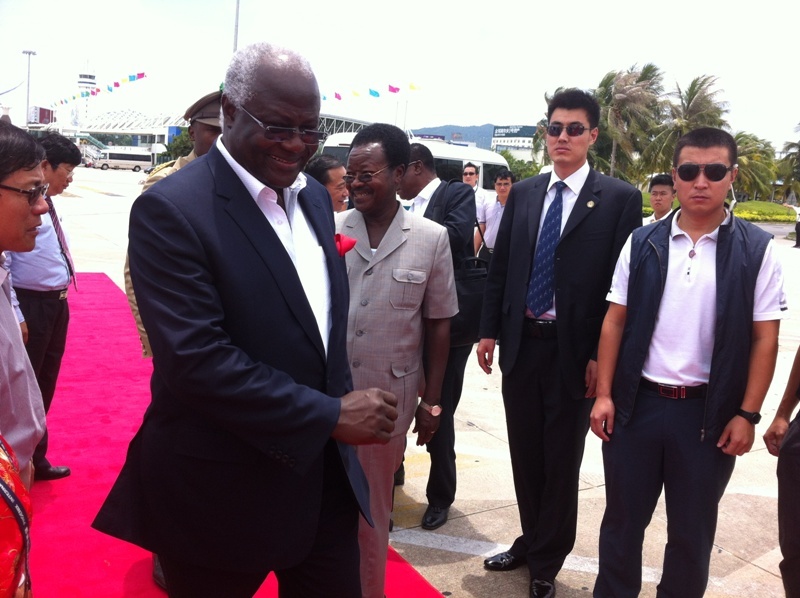 Since 2007, the Koroma government has been able to turn the country around in several areas. In areas of infrastructure, government has embarked upon the largest road rehabilitation and construction drive ever in the history of the country. 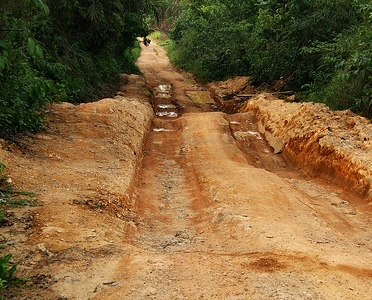 Today, progress could be measured in terms of the “resurfacing of the Makeni – Matotoka Highway and the Bo – Kenema Highway; the completion of the Masiaka – Bo Highway; rehabilitation of 600km of feeder roads in Port Loko, Kambia, Pujehun and Kenema Districts; rehabilitation of 25 km of selected streets in Freetown including: Mends Street, Duke Street, Victoria Street, Dundas Street, Caulker Street and widening of Wilkinson Road and Spur Road. Also the government has rehabilitated a combined total of 250km of streets in the entire 12 district headquarter towns and Lunsar township; and the reconstruction of the Freetown –Conakry Highway” – said president Ernest Koroma in 2012. In 2008, the government took a more robust stance in the fight against corruption by empowering the Anti-Corruption Commission (ACC) to investigate and prosecute all corruption cases. This was a clear manifestation of the political will on the part of the government, which was elected on the platform of change and development. Today an institution like the National Revenue Authority is talking about collecting Trillions of Leones on behalf of government, which was never the case under the previous government. In agriculture, the country is increasing productivity, and at the same time promoting commercial agriculture through extension delivery systems. Today, Sierra Leone continues to have measures in place that will not only strengthen her democratic credentials, but fairly creating the enabling environment for the promotion of an open and free society. There has been the enactment of a law that guarantees access to public held information. There has also been an encouraging boom in our economic growth, as indicted in the operations of mining companies. Today, there is a clear roadmap as to where the country should be heading in the coming decades, through The Agenda for Prosperity. This blueprint for national development clearly spells out government’s readiness to strengthen Sierra Leone’s democracy and rule of law. In my humble opinion, there appears to be commendable goals that have been scored by this government. That notwithstanding, we know there are a number of challenges and despite such challenges, the government was reelected. The development roadmap for the country outlined in the Agenda for Prosperity provides a brighter and promising future. But what is also paramount, is for Sierra Leoneans to take it as a challenge to be part of the drive towards a prosperous nation. Is finance minister Marrah in contempt of parliament?